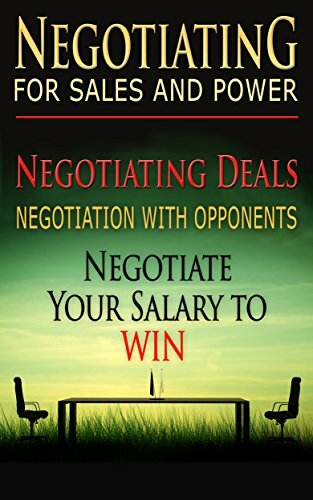 Descargue o lea el libro de Negotiating For Sales and Power: Negotiating Deals, Negotiation With Opponents, Negotiate Your Salary To Win (Negotiation, Conflict Resolution, and Communication Skills Book 1) (English Edition) de Benjamin Tideas en formato PDF y EPUB. Aquí puedes descargar cualquier libro en formato PDF o Epub gratis. Use el botón disponible en esta página para descargar o leer libros en línea. Learn How to Negotiate Any Situation and Put Yourself in the Driver's Seat! Today only, get this Amazon book for a discounted price - Regularly priced at $4.99. Read on your PC, Mac, smart phone, tablet or Kindle device. Limited Time Offer: Go to www.plaid-enterprises.com/freebook to get your FREE bonus book! You're about to discover how to finally win any negotiation you enter with skills, techniques and strategies that you can practice in every interaction you come across until you become a true pro. If you are like many people who get taken advantage of and are not getting, earning or securing what they deserve in life - this book is for you. Whether you find yourself negotiating your salary with your boss, why you should have a certain seat on the bus, your child's new bedtime or where you should have dinner with your spouse - "Negotiate Anything and Everything" will give you the upper hand and instill you with the knowledge and power you may have always felt is lacking. It's time to learn how to win! Here's what others have been saying! This is such a great book! I have always been the type of person who was never a good negotiator, but with this guide I feel like my negotiating skills have already improved. I will definitely be referring back to this book in the future. Being in sales this book came at a great time! I was looking for books on how to be a better sales rep and how to negotiate my contract better. His section on rewording your questions was an eye opener for me. I also like how he gives tips on how to fix the communication gap. This is a must download for your reference library! I will be rereading this often!